Photographs from the main Eastern theater of war, the siege of Petersburg, June 1864-April 1865. Wet-plate glass negative. August 1864. "Petersburg, Virginia. 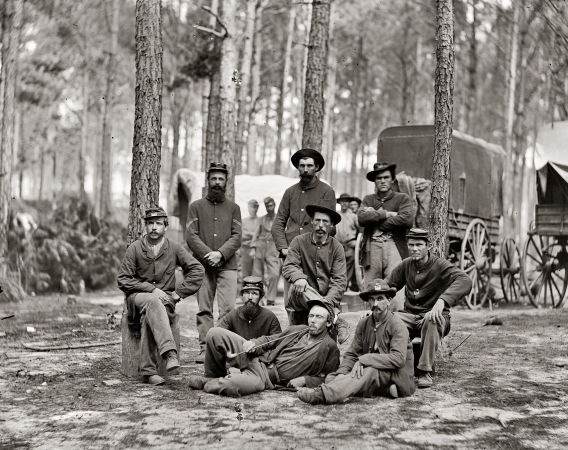 Group of Company B, U.S. Engineer Battalion."